Britain’s oldest festival, Isle of Wight, will once again bring 50,000 revellers to the small island. In true Isle of Wight Festival spirit another massive lineup has been forged by organisers to supply party-goers with a passionate mix of artists from across the world. It’s not Isle of Wight without a bit of Brit-rock and so Noel Gallagher’s High Flying Birds take this year’s Friday headline slot. Saturday sees national treasure George Ezra get his debut headline slot at the festival. That’s a big deal for the twenty-five-year-old. Closing this year will be Scottish legendary live rock trio Biffy Clyro. 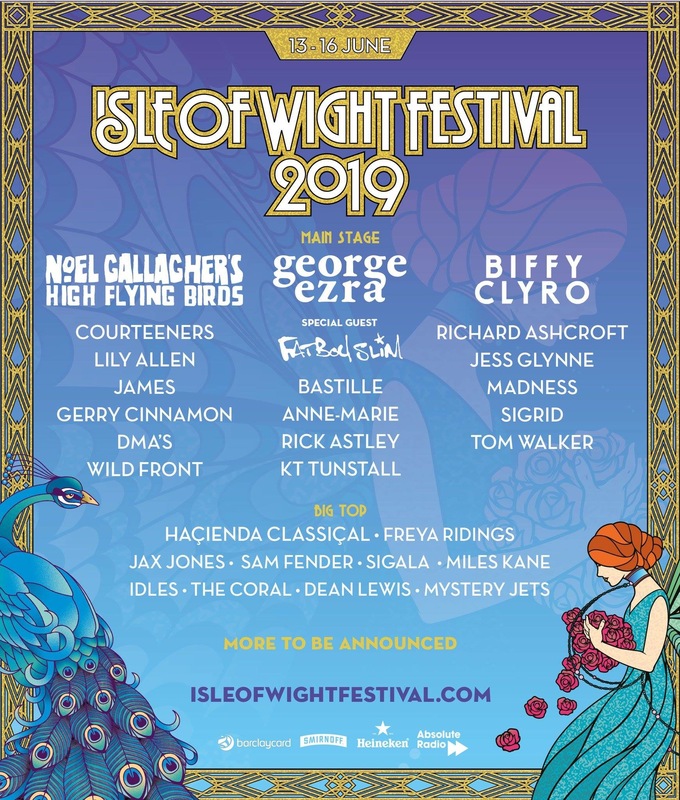 Other artists on this year’s bill include British pop queen Lily Allen, Glaswegian singer/songwriter Gerry Cinamon, Brighton dance legend Fatboy Slim British pop group Bastille, ska legends Madness and pop singer Sigrid. With Glastonbury returning from a fallow year, the festival will revert back to its normal June weekend, rather than falling on Glastonbury weekend like it did last year. 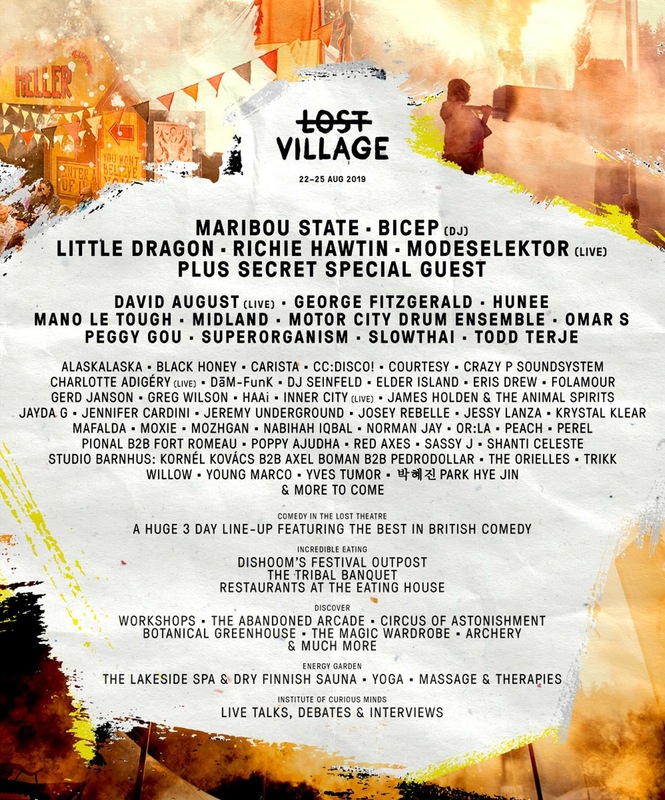 Now celebrating its fifth anniversary, Lost Village has exploded onto the UK festival scene bringing a revitalising approach to electronic music festivals. Set in the heart of Lincolnshire, Lost Village welcomes everyone and anyone for an interactive and inclusive music experience. The festival is utterly immersive and lovingly crafted giving festival-goers a truly unique experience with the addition of not just an incredible and well thought out lineup of musicians and DJs, but also an eclectic roster of top comedians, great food, live talks, workshops, hot tubs and so much more. The lineup is reflected as an ingenious mix of some of UK’s current favourites. 2019 sees another high-quality selection of DJs, producers and even electronic bands. Production duo Maribou State take a well-deserved headline slot this year with another duo Bicep, band Little Dragon, DJ Richie Hawtin and Modeselektor also topping the bill. We can’t wait for festival organisers to reveal the super secret special guest at this year’s event. 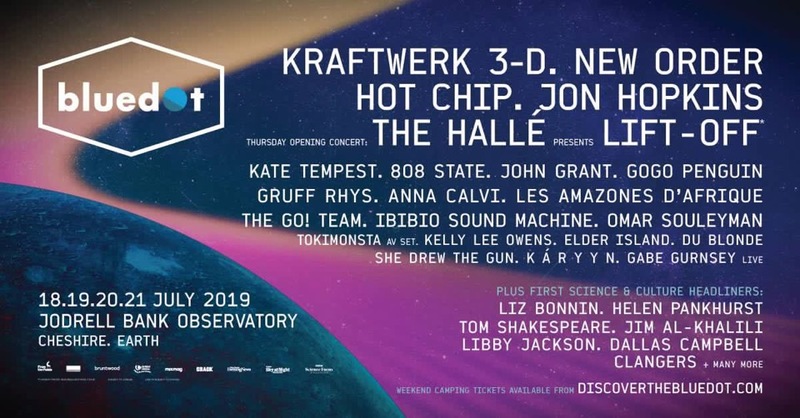 Only beginning in 2016 but already making a huge impact on the UK festival scene, Bluedot not only hosts a range of incredible artists, especially in the electronic genres but also gives festival-goers a science experience that isn’t paralleled by any other festival in the country. Live science experiments, expert talks and immersive artworks all come as standard with a ticket to Bluedot. 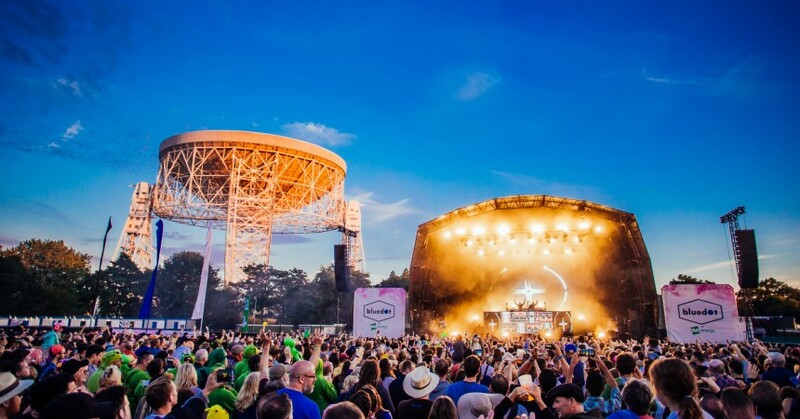 The event very fittingly takes place at Jodrell Bank Observatory in Cheshire and is named after the famous 1990 photograph ‘Pale Blue Dot’, which was popularised by Carl Sagan. This year organisers have made sure Bluedot gets another incredible lineup, argubaly one of the best in the country this year. Topping the bill are German electronic pioneers Kraftwerk, performing their amazing 3D show. Alongside them is ’80s dance group New Order, British electronic band Hot Chip and producer/DJ Jon Hopkins. 2019 should be an excellent year.